Wear your hope for all to see with this inspirational and eye-catching awareness t-shirt. This design may be featured in one of our 5 awareness colors to help you show support for the cause that is dear to your heart. 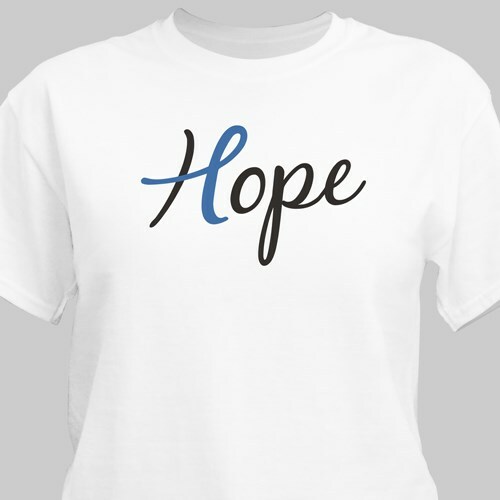 This Hope Awareness design is available on our 100% cotton, machine washable t-shirt. Available in youth sizes XS-L and adult S-3XL. 4XL is available in white only.